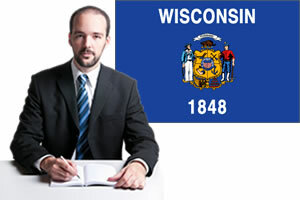 Wisconsin personal injury laws vary from other state’s laws. Below are the most common personal injury laws in the state of Wisconsin. Understanding your compensation rights and getting the help of a Wisconsin attorney is your first step towards filing a successful Wisconsin personal injury claim. The Wisconsin statute of limitations for filing personal injury claims is 3 years. Wisconsin's medical malpractice statute of limitations is 3 years from the date of injury or one year from the date of reasonable discovery. All medical malpractice cases must be filed within 5 years from the date of the injurious action. Product liability claims must be filed within 3 years from the date of injury. The statute of limitations for a Wisconsin personal injury claim is subject to change. Contact a Wisconsin injury attorney for definitive statutes at the time of your accident or injury. Under Wisconsin’s fault state rules insurance companies will determine which party is at fault and pay according to the driver’s degree of fault. If you have been injured due to the negligence of another driver you will receive compensation from their insurance company. If the payment is insufficient to pay for your losses you may have the legal right to file a car accident claim against the at fault driver to recover compensation for medical costs, lost wages and pain and suffering. Wisconsin is one of 21 states which uses a 51% bar rule. Under this system an injured party cannot recover compensation through a personal injury claim if they are 51% or more at fault for their injuries or losses. Compensation will also be reduced by each party’s degree of fault. Are there Damage Caps in Wisconsin Injury Law? Wisconsin’s noneconomic Damages Reform: AB 36 (1995): Wisc. Stat. Ann. §§ 893.55, 895.04 limits noneconomic damages in medical liability cases to $350,000, indexed for inflation. Wisconsin’s workers compensation laws provide full medical benefits to injured workers with no monetary or time limitations. Initial choice of physician is made by the injured employee. Workers compensation temporary total disability (TTD) and permanent total disability (PTD) is paid as a percentage of the worker's wage, up to a weekly maximum payment.